Guam was first discovered and inhabited by sea-faring people who came from Asia (possibly Indonesia or the Philippines), around about 2000 BC. These people, the Chamorros, developed a complex society, and traded with other islands in Micronesia. On March 6th, 1521, the first Europeans arrived: Ferdinand Magellan's ships, on their expedition to circumnavigate the globe. The Chamarros natives of the islands welcomed the Spanish with food and drink. The Chamarros expected to be paid, whereas the Europeans believed these supplies to be gifts, so the Chamarros stole iron from the decks of the Spanish ships. The Spanish retaliated by killing several islanders and burning homes. Magellan consequently named Guam and the other Mariana Islands, "Las Islas de los Ladrones" (The Islands of Thieves). In 1667, Spain claimed the islands and established a colony there. In 1668, Padre San Vitores, the first Spanish missionary, arrived. He renamed the islands "Las Marianas" after Mariana of Austria, widow of King Philip IV of Spain, and remained on the islands until his murder in 1672. On June 21st, 1898, Guam was captured by US forces during the Spanish-American war, and was ceded to the United States by the subsequent Treaty of Paris which ended the war. (Spain later sold the Northern Mariana Islands to Germany). Following World War II, a series of acts relaxed the U.S. administration of Guam, established the island as an unincorporated organized territory of the United States, granted US citizenship to all persons born on Guam since 1899, allowed a non-voting Guam delegate in the US House of Representatives, and allowed the islanders to elect their own governor and lieutenant governor. In 1982, Guam residents overwhelmingly voted for a closer relationship with the United States as a Commonwealth. However, progress towards implementing the decision has been slow. In recent years, Guam has suffered a number of setbacks, including the 1990s Asian economic crisis, and September 11th attacks, damaging the tourism industry, the 1990s military cutbacks affecting the military-dependant part of the island's economy, and the supertyphoons Paka in 1997, and Pongsona in 2002. 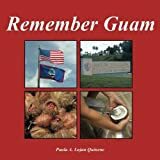 This revised edition of the standard history of Guam is intended for general readers and students of the history, politics, and government of the Pacific region. Its narrative spans more than 450 years, beginning with the initial written records of Guam by members of Magellan 1521 expedition and concluding with the impact of the recent global recession on Guam’s fragile economy. The seizure of Guam in July-August 1944 added another base to our growing chain of possessions encircling the Japanese homeland. Marine troops made the initial landings on Guam and were aided in capturing the island by army units, comprised chiefly of the 77th Infantry Division. Guam tells the Army's part of the campaign. This study is based upon a first narrative prepared in the field from military records and from notes and interviews recorded during the operation by S/ Sgt. James M. Burns. “Guam: Operations of the 77th Division (21 July-10 August 1944)” is one of a series of fourteen studies of World War II operations originally published by the War Department's Historical Division and now returned to print as part of the Army's commemoration of the fiftieth anniversary of that momentous clash of arms. These volumes, prepared by professional historians shortly after the events described, provide a concise summary of some of the major campaigns and battles fought by American soldiers. The true story/account of United States Navy Radioman George Tweed and his 31 months of survival on Japanese-held Guam during World War II. "Hey Paula, I just wanted to let you know that I truly enjoyed Remember Guam! What a great set of experiences you have captured! In reading those, I recall mine and how I miss those days gone by." Remember Guam was written to capture the memories of natives and visitors alike. This book also includes recipes not found in A Taste of Guam. Each recipe has a corresponding video on the author's website. "Paula, Aloha and Hafa Adai! Hey, we used your YouTube instructions for making empanadas...what a HIT! Thanks very much for the posting and keep up the teach!" "Your videos from Remember Guam are great! Everything looks so good you can smell it cooking on the screen. Thanks for taking the time to make videos for us." Get your very own copy now! Order yours today! “The conquest of Saipan was, among Pacific operations up to that time, the most clear-cut decisive triumph of combined arms of the United States over the Japanese.” C. B. Cates, General, U. S. Marine Corps. Saipan was the last barrier that the prevented the Allied forces from launching their entire military might against the Japanese homeland. Victory at Saipan was the key which opened the door to the soft underbelly of the Japanese Empire. Yet, because the Japanese were aware of this vulnerability, they were willing to throw everything they had against the ever-encroaching American forces and fight to the death to defend this island. Fifteen battleships began their bombardment of Japanese positions on 13 June 1944, they would fire over 165,000 shells onto the island. Then at 0700 on 15 June 8000 marines travelled in 300 LVTs to land on the west coast of Saipan to begin their assault. The Japanese high command realized that without resupply the island would be impossible to hold, but they and their soldiers were to fight until the last man. To make things as difficult as possible for the U. S. marines the Japanese used guerilla tactics to disrupt the offensive and dug themselves in in the mountainous terrain of central Saipan. Carl Hoffman’s brilliant account of this ferocious battle takes the reader through the course of its duration, from the initial discussion of plans and preparations right through to the eventual victory. This book is essential for anyone interested in the Pacific theater of war during World War Two and for the huge impact that the marine corps made in some of the bloodiest battles ever to have taken place. Carl W. Hoffman was a Major General in the United States Marines Corps. He served in World War Two, the Korean War and the Vietnam War. During World War Two he earned the Silver Star and two Purple Heart Medals while participating in operations on Guadalcanal, Tarawa, Saipan and Tinian. His book Saipan: The Beginning of the End was first published in 1950 and he passed away in 2016. The official Marine Corps history of the World War Two battles in Saipan and Guam. The Marianas campaign was a turning point in the Second World War. Illustrated.